The Vastly BOUNTIFUL, is He, Who is All-Aware of everything; He is the Most Generous Whose Mercy embraces both the believers and the pagans; Allah is the Self-Sufficient Whose inexhaustible Treasures can never be depleted; His Sovereignty is unlimited. 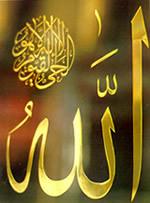 The adjective is derived from the Arabic noun se‘ah which means vastness; it could be attributed to both knowledge and favours.The Vastly BOUNTIFUL is Allah, Whose sea of all-embracing and vastKnowledge has no shore, and if you contemplate the favours that Allahgrants His people you will find that they have no limit. He says, “Say:If the ocean were ink wherewith to write out the words of my Lord, soonerwould the ocean be exhausted than would the words of my Lord, even if weadded another ocean like it, for its aid.” (KAHF,109), “And if all the trees on earth were pensand the ocean were ink, with seven oceans behind it to add to its supply,yet would not the words of God be exhausted in the writing.” (LUKMAN, 27). All vastness no matter how extensive must have a limit, but only the vastness of Allah’s Generosity has no end, He says,“Verily thy Lord is ample in forgiveness.” (NAJM,32), “..but My Mercy extendeth to all things.” (A‘RAF, 156), “..His Throne doth extend over the heavens and earth.” (BAQARA, 255). Allah’s Knowledge encompasses everything; His Might overwhelms and subdues everything. Furthermore, His Mercy is all-embracing and so are His Treasures, Might, Knowledge, Strength and Beneficence. Praise and Glory be to the Vastly BOUNTIFUL, He is Allah.